As any other season, winter has its ups and downs. Along with crisp fresh air, soft snow, and Christmas mood you face short days, winter blues, and good old flu. What can be worse than a stuffy nose, snoozing, and persistent headache? As for me, everything depends on the approach. With small tips, you can easily avoid those culprits of the spoiled season. In winter, as a rule, you lack vitamins, sunlight, and warmth. What is more, ordinary things you use every day deteriorate your immunity. So let’s see how to be healthy this season. Avoid artificial sugars. Believe it or not, sugar found in package food is the worst enemy of your immune system. The only sugar that brings benefits comes from fruits. Avoid preserved food. It has nothing useful, and it suppresses your health. Substitute it with fruits, vegetables full of vitamins, fish, or meat reach with proteins. Avoid alcohol. It dehydrates your body. Of course, nobody died from a glass of wine, but heavy alcohol weakens your body and makes you susceptible to diseases. Avoid stress. It affects your immunity. Organize your day and take time to decompress. Your body will be thankful. Avoid stillness. Do not sit cooped up at home. To maintain your health, you need to move more: go for a walk, exercise, try yoga, etc. Avoid smoking. Whether you smoke or it is your neighbor who does it, give up this killing habit. By the way, breathing in smoke is even more harmful than smoking itself. Avoid quick medications. They do not cure you. After a short release, you will probably get worse. Self-treatment certainly belongs to things not to do. Avoid depression. Usually, a smile is the best medication. It is proved that positive people get sick less often than people who frown all the time. Avoid lack of sleep. In winter, a good sleep is the best friend of your immune system. Avoid dehydration. Coffee, artificial heat, and many other things dry us out. Drinking a lot of water and putting a humidifier in your room will help to improve your health. 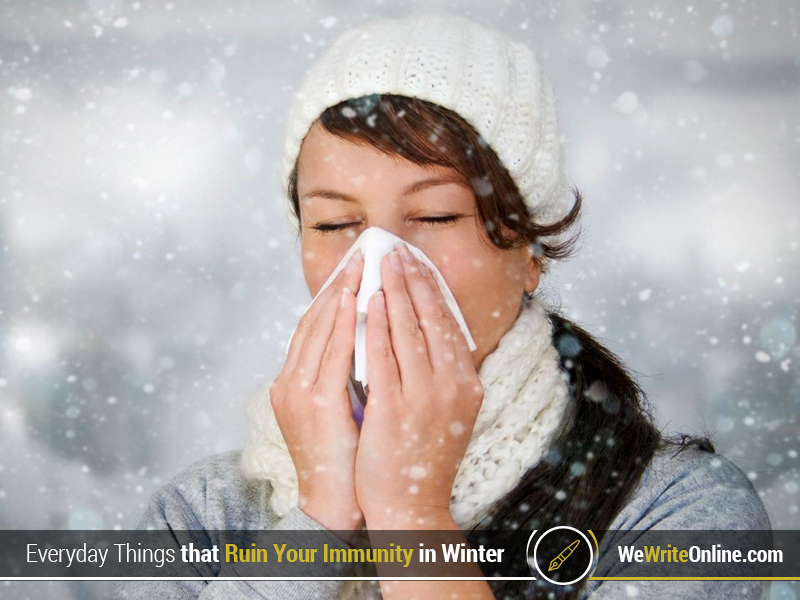 Stay healthy in winter no matter what!